THE CLASSIC THAT STARTED IT ALL! "the two have excellent writing skills"
"a very wise and somewhat goofy father"
"the well written story and likable characters make the book a wonderful selection for children's bookshelves"
"very funny and accurate depiction of the interactions between different kinds of children"
Morgan Wallace is a smart nine year old comic book kid whose hyperactivity makes it difficult for him to stay focused in school and sometimes makes him feel self-conscious about being different. Then one night during the summer before fourth grade, something happens that would cause him to find out what it is like to really be different: the rays of a meteor shower transform him into a cyborg with superpowers. When the family doctor is unable to help turn him back into a normal nine year old kid, Morgan convinces his parents to let him use his new powers as a super hero named HyperKid. During the first day of school, his primary mission immediately becomes clear: to defend the kids of West Plains Elementary from Brian Bullini, the new kid in school who also has cyborg superpowers and would become HyperKid's arch rival, BullBorg. The two quickly commence battling each other on the playground during recess and after school, but they would soon realize that they have more in common than being cyborgs, and their rivalry eventually becomes a powerful friendship. 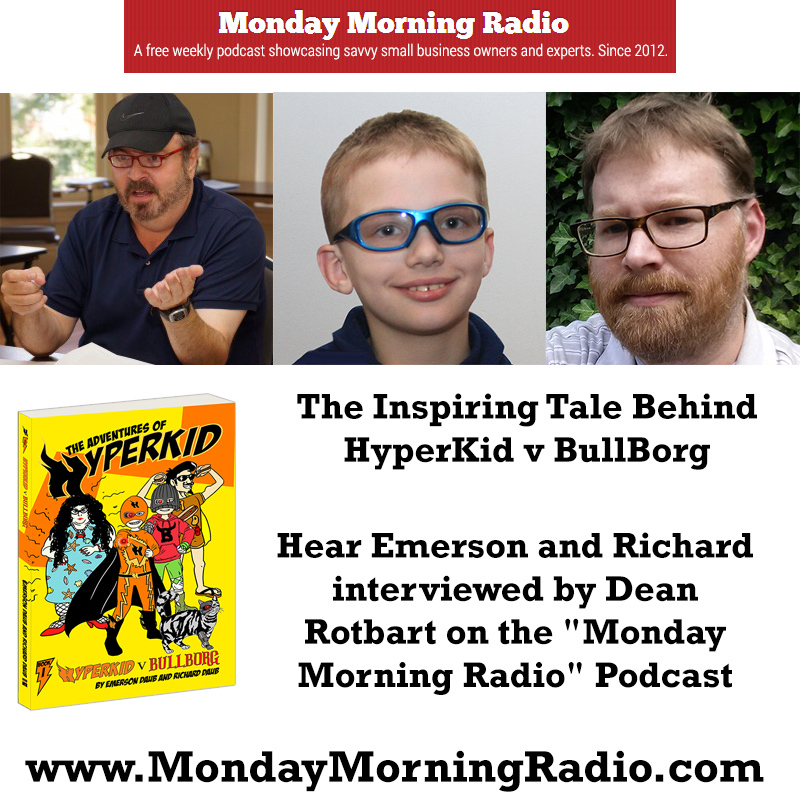 With a cast of humorous characters and hilarious scenes, HyperKid v BullBorg is ultimately an inspiring story about rising above personal obstacles and the loneliness that often accompanies the feeling of being different. It is also a story about friendship and understanding that stems from the recognition that two individuals who come from seemingly different worlds have more in common than not. © Copyright 2016-2017 Clay Road Press.